Connie is using Smore newsletters to spread the word online. when she goes home she feeds her baby bunnies. Every weekend Evil Bunny makes blankets for the homeless, she also makes sandwiches for soup kitchens. 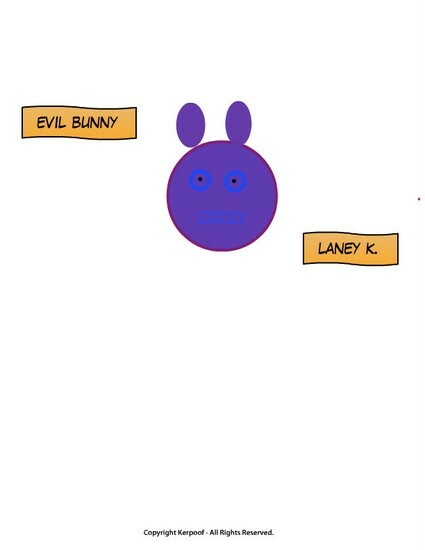 Evil Bunny loves everyone around her.